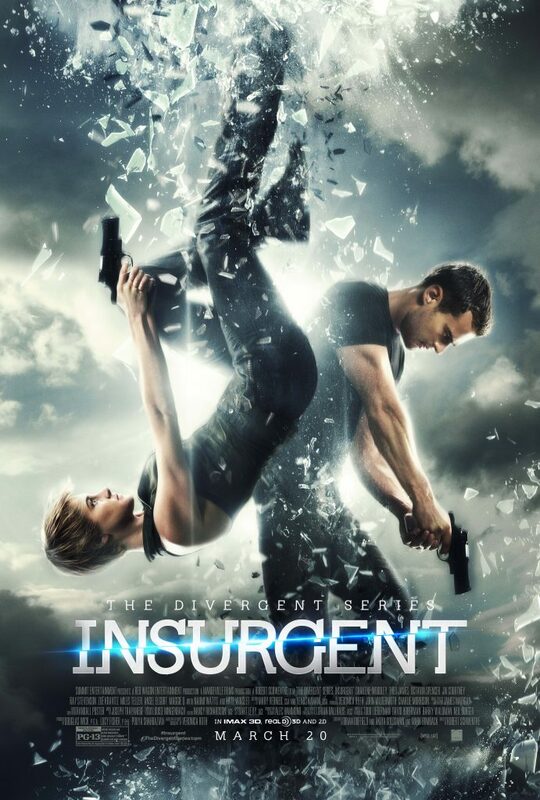 Lionsgate and MTV debut the new The Divergent Series: Insurgent trailer, which will air during the 2015 Super Bowl pre-game show. They also share Insurgent‘s final poster and book cover for the novel’s movie tie-in edition. WOWSA! This Insurgent trailer is perfect for the Super Bowl—the action and special effects are so intense. And Tris is beyond fearless as she crashes through the glass, charges Jeanine, and careens through the city. She’s absolutely “the one,” probably because (as many of us speculate) the box Jeanine is trying to open likely holds the Edith Prior video. This makes Tris, who is divergent and Edith’s relative the key to accessing the box’s content. What do you think of the trailer? This edition of Insurgent (book) will be available starting February 17, but you can go HERE to pre-order your copy now. Remember, The Divergent Series: Insurgent hits theaters in less than two months on March 20, 2015.